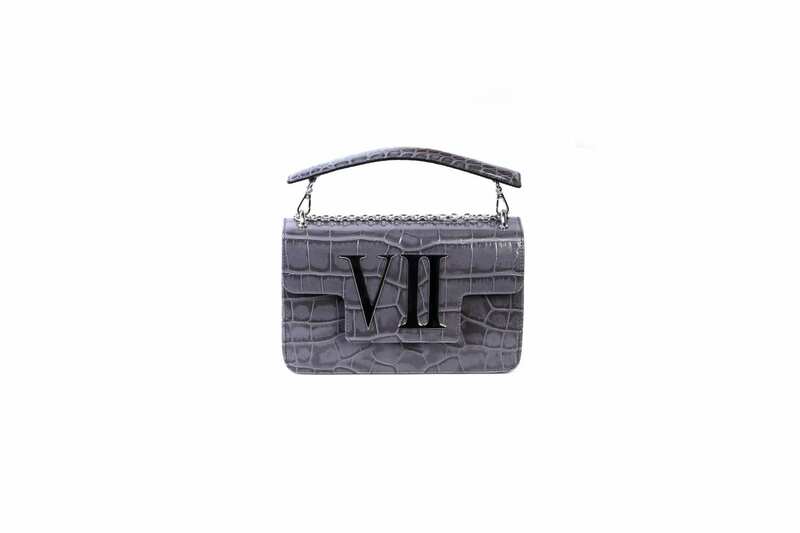 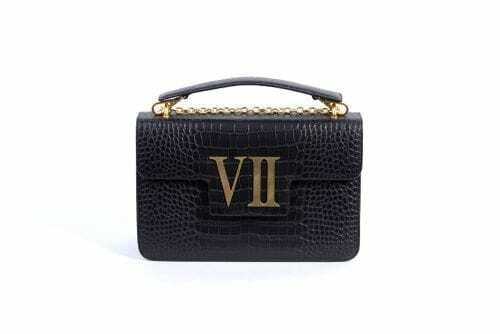 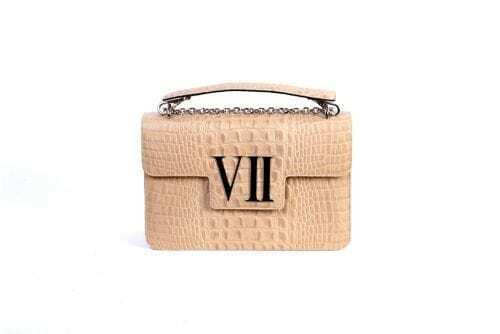 This compact style is a chic choice for day or night , detailed with the house iconic VII plaque, it opens to a black nappa lining interior that’s sized to hold just the essentials, think cardholder, lipstick and cell phone. 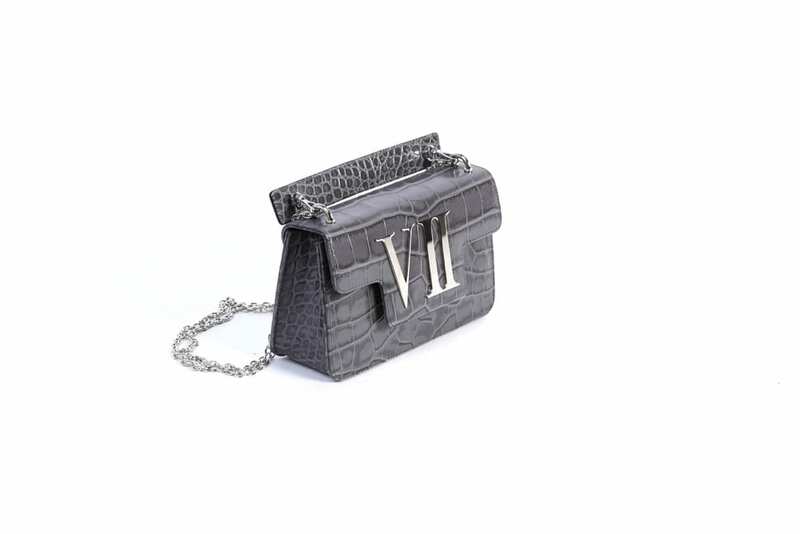 It can be held as a shoulder or cross-body bag. 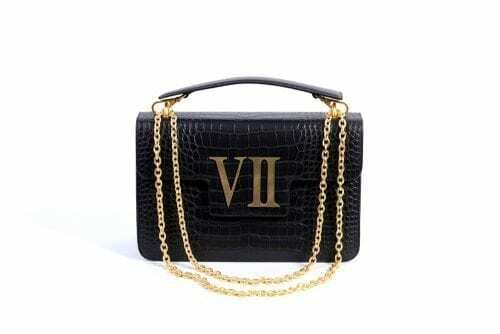 Double-up the sliding chain strap for a shorter drop, closed with a snap-fastening front flap. 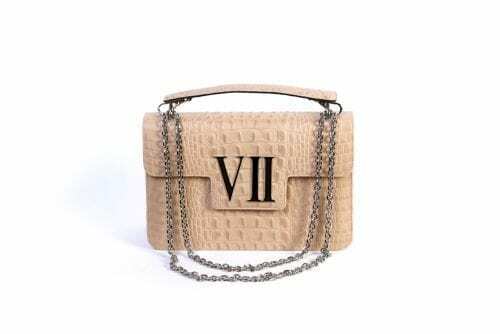 COMPOSITION: Grained calf leather printed Croco.